Here at Strickland's we carry the absolute best products to keep your chromed-out ride looking its best. From polishes that remove dirt and grime, to buffing wheels that will keep your chrome accessories shining like a mirror. We carry the best! 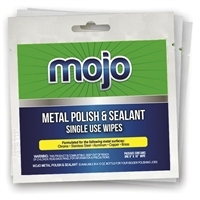 The Mojo metal polish and sealant wipes are designed to clean chrome, stainless steel, aluminum, copper, and brass surfaces. 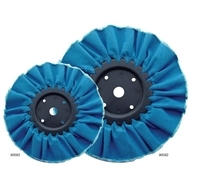 The wipes are formulated to clean, polish, and protect. Resin Dipped Buffs Used for Cutting and Finishing. Cloth is Biased Cut to Ensure Maximum Life. 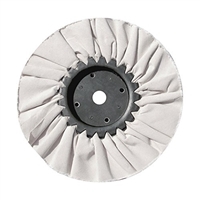 The Folded Design Provides a Balanced Surface for Uniformed Cutting Over Entire Surface. 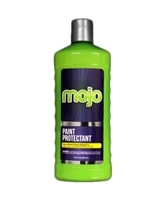 Mojo Paint Protectant is a detergent resistant polymer formulated to clean, polish and protect all painted surfaces. Mojo Paint Protectant works at the molecular level to smooth fine scratches and remove swirls while providing a high gloss shine. 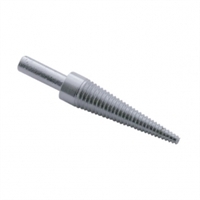 Use on multiple surfaces: Painted Surfaces, Glass, Chrome, Stainless Steel, Plastic, Leather, Vinyl, Rubber Trims, and Clear Coat Finishes.